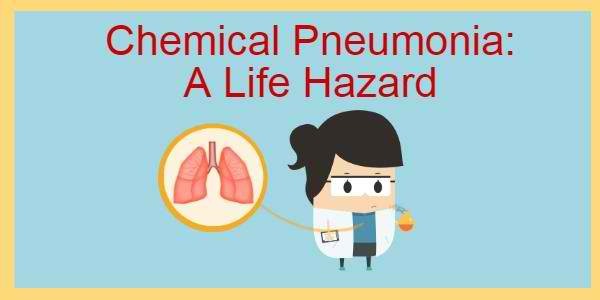 Chemical Pnuemonia or chemical pneumonitis is the inflammation of lungs caused by inhaling chemical fumes or breathing in harmful dust or particles. Inhalation of chemical fumes or particles will cause difficulty in breathing. There are two types of chemical pnuemonitis: acute and chronic. Working inside the laboratory on a daily basis, exposes you to different kinds of chemicals that may trigger the inflammation of the lungs. Some of the most common causes may also be found in the house. These hazardous chemicals are present in cleaning materials (bleach), fertilizer dusts, pesticide fumes and smoke from fire and even cigarettes. In order to determine how greatly the lungs are affected, you might undergo several tests such as Chest Xray, Swallowing studies and CT scan. Medicines that will decrease coughing or reduce inflammation of lungs will then be recommended. Wear Personal protective equipment at all times! Masks can also be worn when dealing with noxious chemicals. 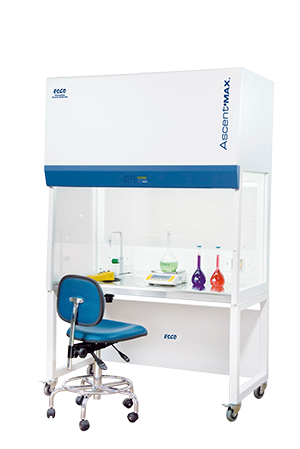 When dealing with chemicals inside the laboratory, make sure to work inside a fume hood to reduce the risk of chemical exposure. If handling house hold chemicals, make sure to read and follow the instructions carefully and handle it in a well-ventilated area.